A happy Mother's Day to all the mom's! I am pleased to celebrate this day as I am the proud mom of two tall and beautiful teenage boys. I am also fortunate to have a mom who is now a great grandmother, and I also have a mother in law. The three of us share a love of flowers. 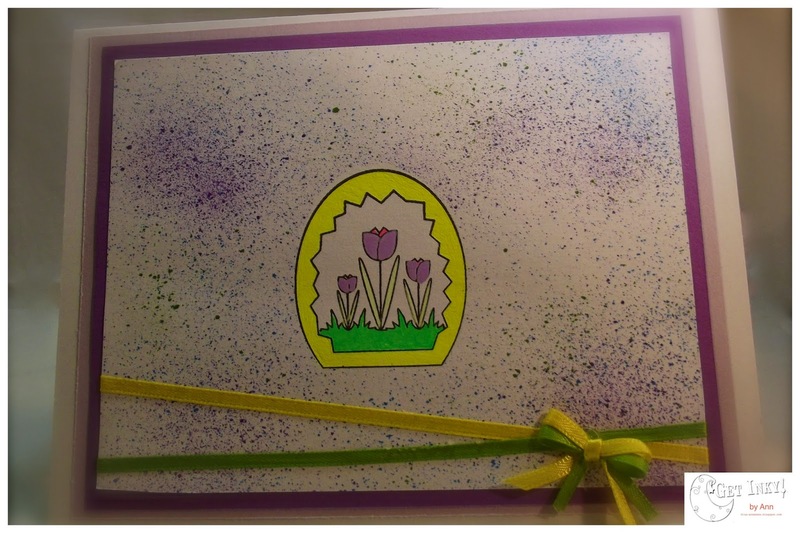 Hi, today I have this card I made for Spring time occasions such as Mother's Day and Easter. I used the stamps "Happy Spring 2014" available here.http://www.bluemooncreation.net/Stamp-Sets.html. I hope that you are inspired to make some spring time cards for any occasions coming up or as a way to get ahead for next year! By the way don't forget to "Spring" on over to the Blue Moon Creation Crafting Station (Get Inky!) blog for more fun.